Rinse and slice cucumber into quarter inch rounds. 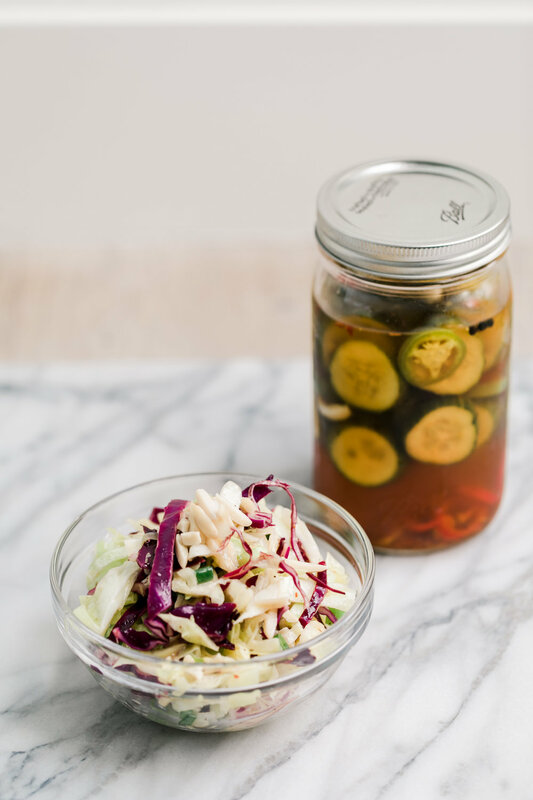 Place in clean mason jar. In a pot over medium heat combine the vinegar, water, honey and salt. Bring to a low boil and simmer until everything is combined, roughly 2-3 minutes. Add garlic gloves, ginger, peppercorns, turmeric, pepper flakes, paprika, and serrano and jalapeño peppers to canning jar. 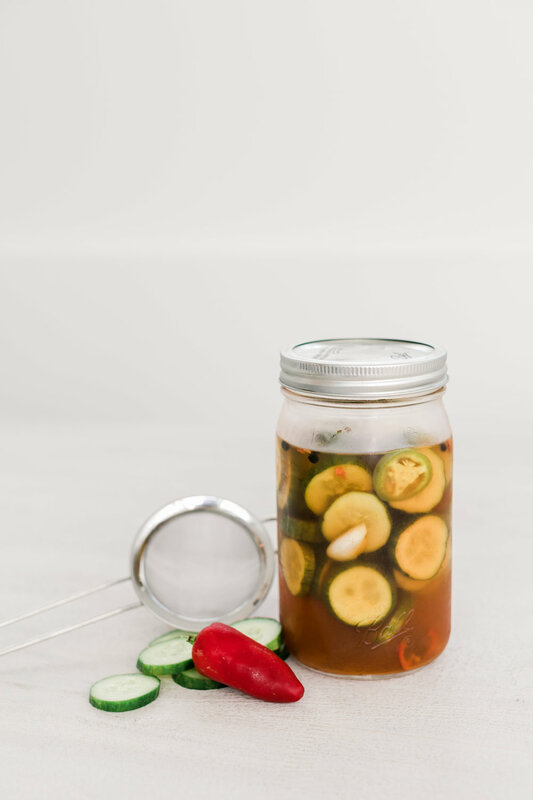 Once stove ingredients are combined, pour over cucumbers. Put the lid on and shake several times so ingredients combine and distribute. Place on counter until pickles come to room temperature. Once room temp, place in fridge for 48 hours. After 48 hours these bad boys are ready!! I mean I love anything with a tangy vinegar taste. Most of my dressings are vinegar heavy and I add a balsamic glaze to more things than not. I mean it really is just the perfect finish to so many things! So, when making quick pickles, I’m always anxiously awaiting the 48 hour period to when they’re officially done! These bad boys have an extra anti-inflammatory kick from the turmeric and a tangy zing from the garlic, ginger and seasoned vinegar. You can really add anything you have on hand to these, I’m not sure I’ve made them the same way twice. Keep these in the fridge to munch on or add them to sandwiches, salads, or rice bowls for a little acidic punch. Let me know what you add or subtract and how they turn out. Hope you love these as much as I do!